The Department of Music at Southern Utah University continues The Great American Songbook Series in December. Ticket prices are $10 for adults, $5 for students, and $25 for a season ticket to all four concerts. The concert will be Tuesday, December 6th, in the Southern Utah Museum of Art at 7:30 p.m. with students and faculty performing the music of Irving Berlin. Irving Berlin composed more than 1,500 songs and dozens of musicals and films. During the 1942 Holiday Inn showcase, Bing Crosby sang White Christmas, which would become a bestselling holiday favorite. Other works of Berlin include Cheek to Cheek, Alexander’s Ragtime Band, What’ll I Do, and music from Puttin’ on the Ritz and Annie Get Your Gun. The proceeds from this concert series will be used as a fund to assist students with instrument repair, purchase of instruments for the Department of Music, and help contribute to tours and students having the opportunity to go to conferences throughout the year. This will relieve a portion of the financial requirement that faces students studying music. The upcoming Great American Songbook Series concerts scheduled for this school year are Tuesday, February 7, 2017, featuring composer Cole Porter and Tuesday, March 21, 2017, featuring composers Rodgers and Hart. 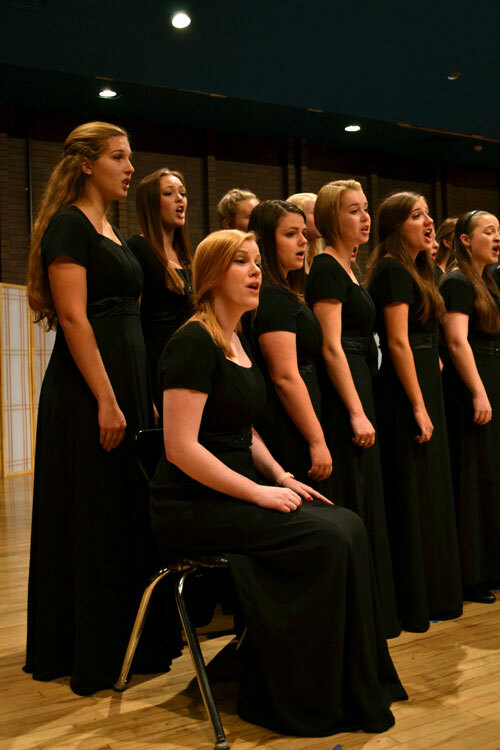 For more information about the Department of Music at SUU, please visit https://www.suu.edu/pva/music.